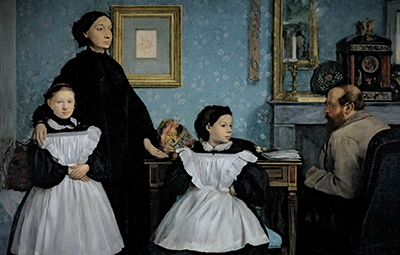 Edgar Degas is one of the greats of modern art and yet little known apart from his paintings of young ballet dancers and is certainly often misunderstood. For his contemporaries he was a giant – but a giant that preferred to stay in the shadows. 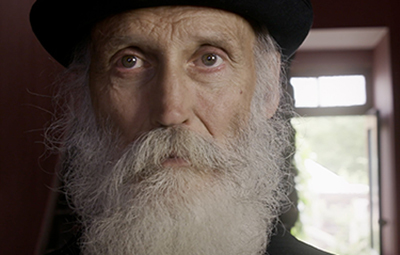 This film journeys from a superb exhibition at The Fitzwilliam Museum in Cambridge, whose extensive collection of Degas’ works is the most representative in Britain, to the streets of 19th century Paris. It tells the fascinating story of Degas’ obsessive pursuit for perfection through both experimentation with new techniques and lessons learnt from studying the past masters. 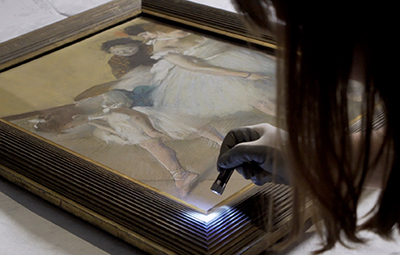 Using written accounts by friends and commentators, and the narration of letters written by Degas himself, this film reveals a darker truth behind one of the most influential French artists of the late 19th-century and serves as an exploration of the complex workings of Degas’ artistic mind.